We understand what you go through every time you spot mold, but it does not grow by itself; it’s caused by moisture damage. Crown Roofing LTD. shares what to do when you spot those ugly stains on your roof and how regular roof repair can prevent it from ever happening. Getting mold on your roof is nasty and unattractive, usually manifesting in humid areas. This “mold” is actually a colony of blue-green algae called Gloeocapsa magma, which is typically found in warm and wet climates. While it looks unsightly, it does no real damage to your roof. The mold you see on your roof may seem harmless, but it poses a silent danger to your household’s health, particularly your respiratory system. Homeowners should not ignore the mold they see growing on their residential roofing system. Black mold releases spores into the air, which is the source of the toxic, musty smell, and these spores could be inhaled, causing allergies and asthma. Never pressure-wash your roof, no matter how badly you want mold out of the way. Pressure-washing could lead to shingle damage, plus it won’t even be a guarantee that the mold problem will not recur. The best way to remove them is with the help of expert roofers like us at Crown Roofing LTD. and our preventive and regular roof maintenance services. Proper roof maintenance should include monthly roof inspections, roof cleaning and ventilation checking. Ventilation is a good way to prevent moisture buildup. 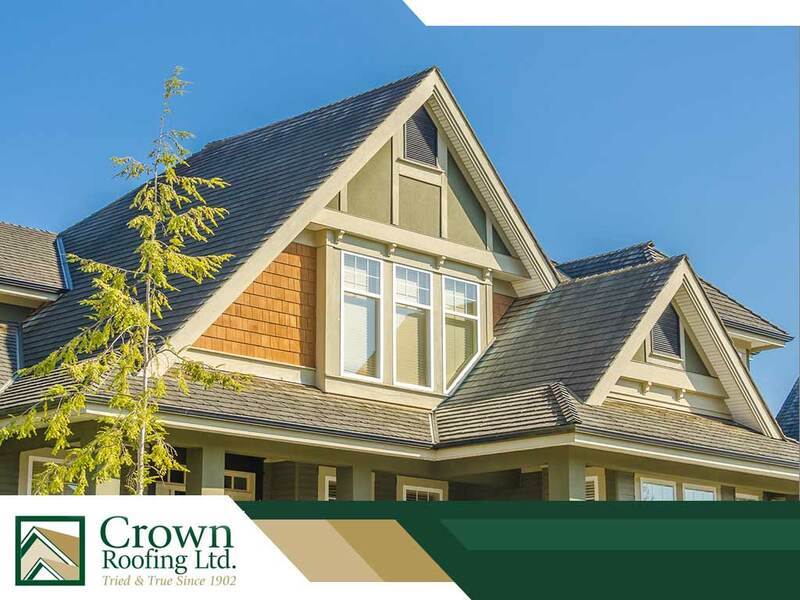 At Crown Roofing LTD, we help you manage your mold problems. Let’s talk about your needs by calling (604) 210-6655 today. You can also fill out this contact form for a free estimate. We serve families in Vancouver, Surrey and other surrounding areas.